Francis's interest in fashion and his skill at sewing hasn't made him very popular at school, and left him feeling alone. But when a mysterious girl named Jessica befriends him, he finds a willing partner for her creative impulses. His social circle expands further as Jessica introduces him to other outcasts (an angry girl named Andi and a coach potato named Roland). Together, these kids bond and find happiness in no longer being isolated. The mystery, though, is Jessica. She's a ghost, a lost soul wandering the Earth until she can fulfill a particular mission that is unknown to her. The fact that Francis, Andi, and Roland are the only three people who can see her lead them to think that her mission somehow involves them. They want to help her figure this out, but are also reluctant to do so because they realize that solving Jessica's mystery will mean that she will leave them. A cute story about friendship and using it to fight feelings of isolation. Jessica's supernatural presence is an interesting twist -- giving the book a Ghost flavor -- but the story doesn't dwell on it very much. Being a British middle grade book, though, there's not even a kiss in the story and no one's parents seem to mind that the kids spend a lot of unchaperoned time together. 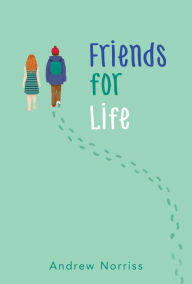 This gives the book an innocent feel, even as it addresses the grim topics of bullying and teen suicides.